"My story is too old. I'm 3,000 years old." 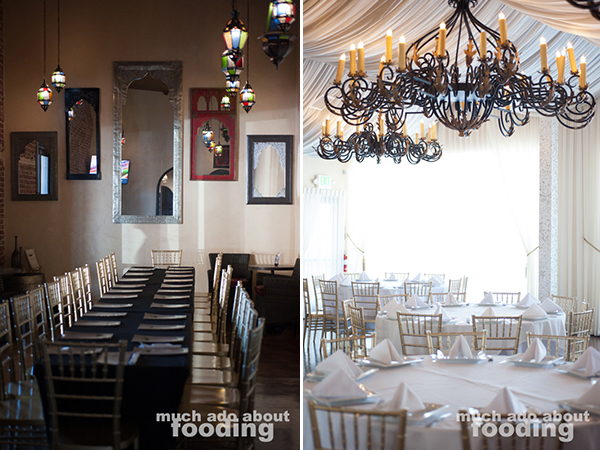 Chef/Owner Walid Alarja was matter-of-fact when initially prompted about his food's and restaurant's journey. 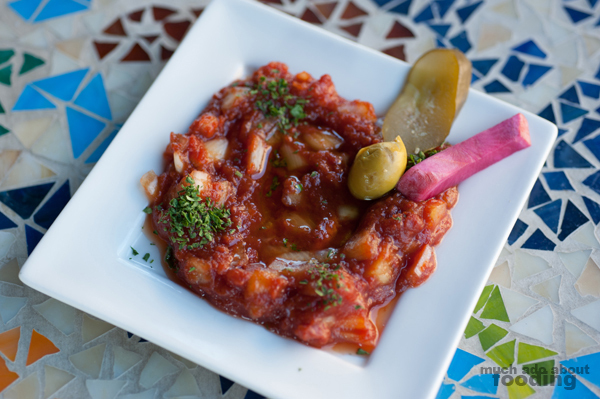 We were seated in the outside patio of D'Vine in downtown Fullerton, a location second to the flagship restaurant in Brea, and eagerly awaited what Mediterranean treasures the impassioned chef had available. 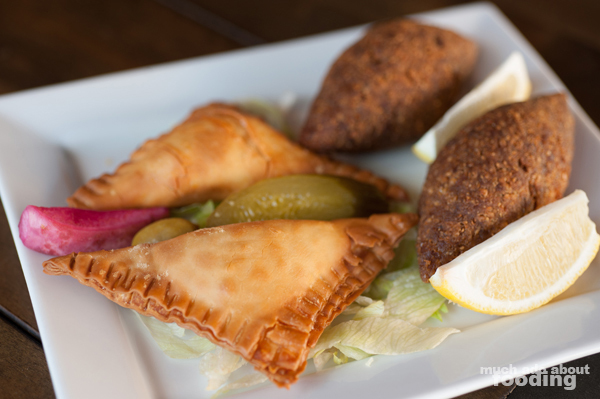 Cooking was not a new venture for Chef Walid by any means as he grew up in the restaurant industry; his family has been running two restaurants and a hotel since 1946 in Bethlehem. Trained at the French Culinary Institute in Egypt and then teaching culinary school for 18 years, Walid knows his food, and you can immediately sense that at D'Vine where fresh ingredients and authenticity rule the plates. "Americans would call this a Lebanese kitchen but if you know about history, there was no Lebanon, no Israel, no Palestine, no nothing. After 1917, the EU just took a portion of the Middle East and gave them all these names. Lebanon, Palestine, Israel, Jordan, Syria - they almost have the same kitchen which is mainly whatever you had in your garden. What you grow, you eat. Your protein is whatever you grew and it's easily cooked on a grill. This kitchen has no fattening, no preservatives, no nothing. Even the marinades come from olive oil, garlic, and salt - all natural." "I try to do authentic food. I visited so many different restaurants when I first came to America and discovered that they Americanized the food to be far away from real food. They use cans and bad ingredients. 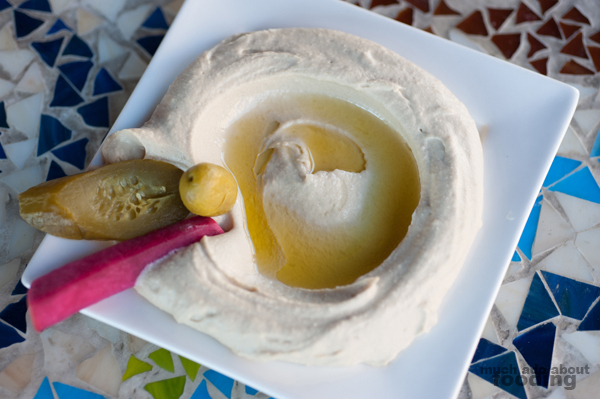 They use so much tahina and then make hummus with avocados, etc which is no longer hummus. 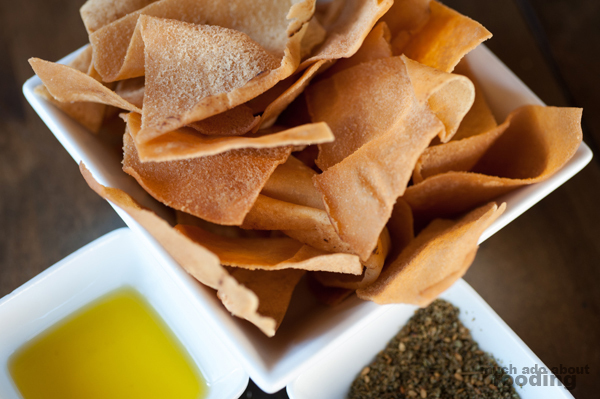 We make ours with 99% chickpeas and touch of tahina, touch of lemon, and touch of salt. That's it. I always say I am homemade. I do everything like I do in my grandma's kitchen." Take one look at D'Vine's extensive menu, and you'll see that a large majority is dedicated to hot and cold mezza dishes. 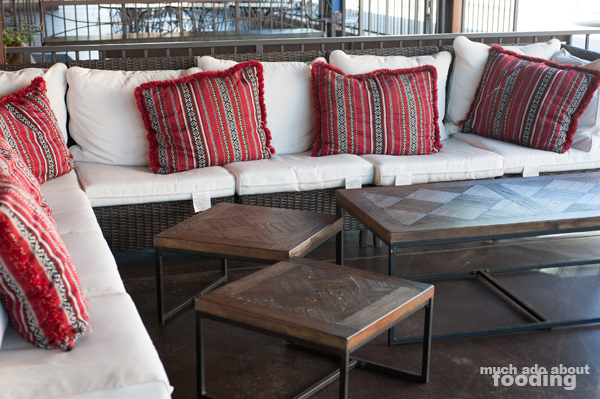 Typically, we'd just refer to these as appetizers and small plates; some may call it tapas-style. These items dominate the experience, and we were glad to get some tastes of many different dishes. 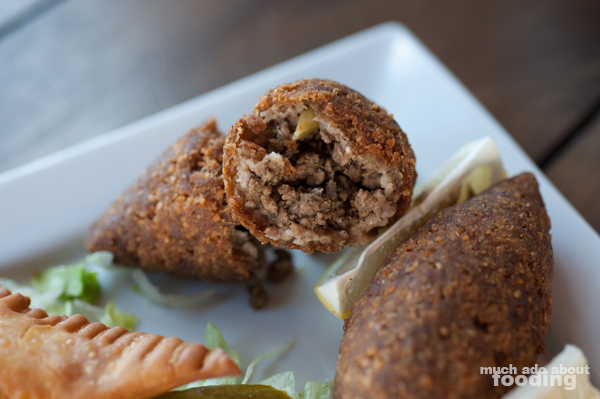 For our hot mezza choices, we did a half order of each of the Cheese Fatayer ($7 - lightly fried dough stuffed with Mediterranean cheeses) and Kubeh ($8 - a fried cracked wheat beef and lamb crust, stuffed with minced beef, onions, pine nuts, and spices), both of which we had never had before. 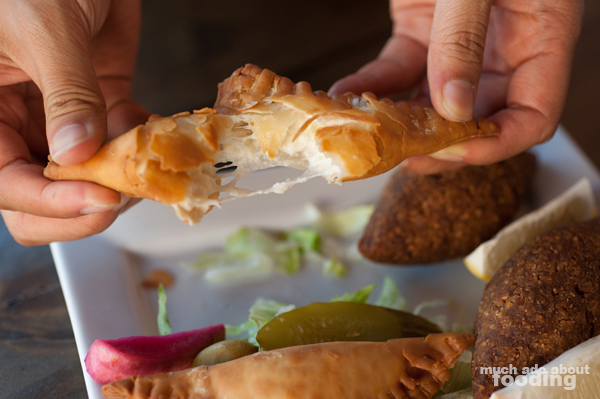 The pastry dough for the fatayer was beautifully golden and explained to be mainly a simple mixture of oil and flour. This flaky dough was filled up with Nabulsi (a very fresh goat's milk cheese) and Halloumi cheeses with a touch of Mozzarella for moisture. They were pleasantly salty in all the right ways and savory at the same time. The kubeh was quite interesting as well with its savory makeup and balanced texture between crunchy shell and soft filling. Chef Walid suggested a few drops of lemon juice with each bite, and that tip really heightened the taste. To get some vibrant vegetables into our spread, we had sides of the Turkish Salad ($6 - chopped onions, tomato paste, parsley, and house spices) and Sumac Onions ($6 - sliced onions with sumac, lemon juice, and house spices), both of which were brightly tangy and aptly refreshing palate cleansers. With all of that, we still had entrees to tackle. 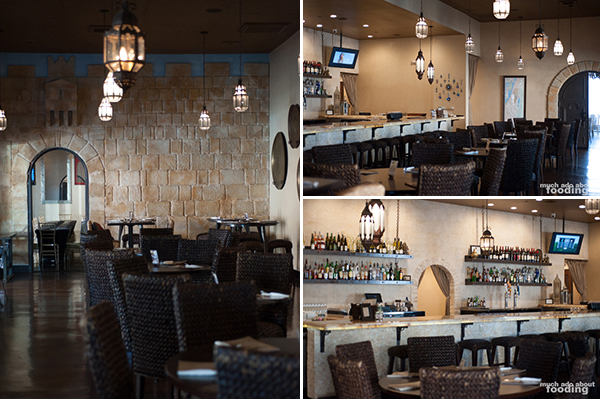 D'Vine offers its entrees to include a choice of one cold mezza, rice, and pita bread. For starters, just know right away that their rice is superb and addicting. 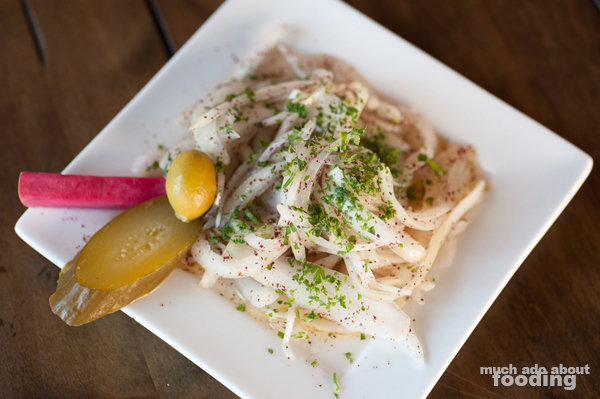 The Calrose rice mixed with broken vermicelli noodle pieces and cooked in both olive and soy oils has a unique taste and texture that makes anyone go back for more. Had there not been proteins available, I'm sure we would have still ordered some amount of the rice to indulge in. 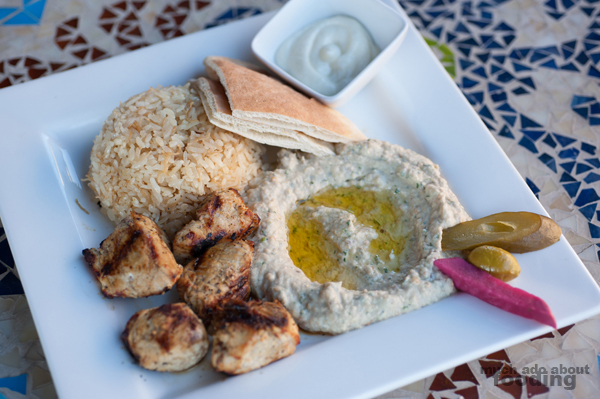 There were protein options however so Duc opted for the Chicken Kebab ($13 - grilled marinated chunks of chicken breast) which Chef Walid recommended to have with the Mutabel - Baba Ghanoush ($7 - seasoned grilled eggplant with tahini, yogurt, and lemon juice) mezza choice. The chicken chunks seemed to come from a single skewer and were pleasantly plump. They held a nice grilled flavor to them and paired beautifully well with the smoky baba ghanoush. 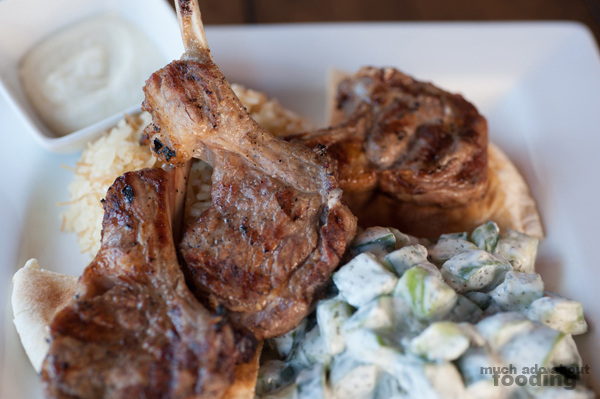 I chose the Lamb Chop ($15 - grilled marinated lamb chops) paired with Chef Walid's suggestion of Cucumber Yogurt Salad ($7 - chopped cucumbers, fresh mint, and house spices mixed with yogurt) for the cold mezza and was quite happy to see how well it turned out. 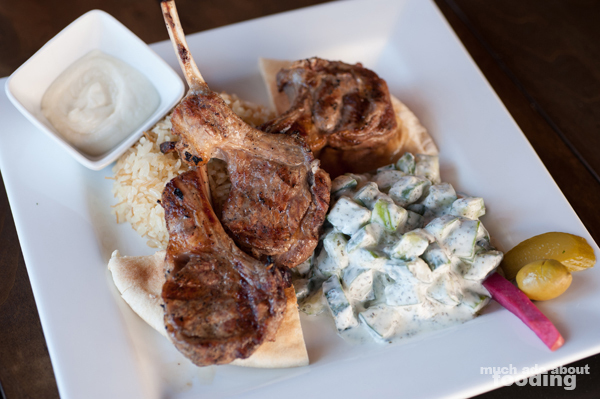 The lamb was tender and flavorful, rich in its own right and the perfect pairing with the cool cucumber salad. Both entrees also came with D'Vine's famous garlic sauce which was so creamy, it almost seemed improbable to have been made in-house. No wonder people come back for that sauce solely. 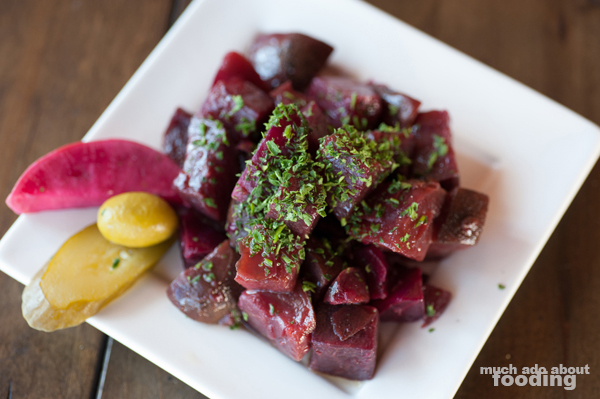 Though we had initially been lured in with the idea of authentic Mediterranean food, we stayed for its follow-up on its promise. D'Vine does do it right and well for an fairly inexpensive price point. If you are looking for the real deal, visit their Fullerton location at 132 W. Commonwealth Ave, Fullerton, CA 92832 or Brea at 955 E. Birch St, Brea, CA 92821. We don't think you'll be disappointed, and it's certainly time for Orange County to know more about this gem of a restaurant.